How to take a screenshot on YouTube? Solution! 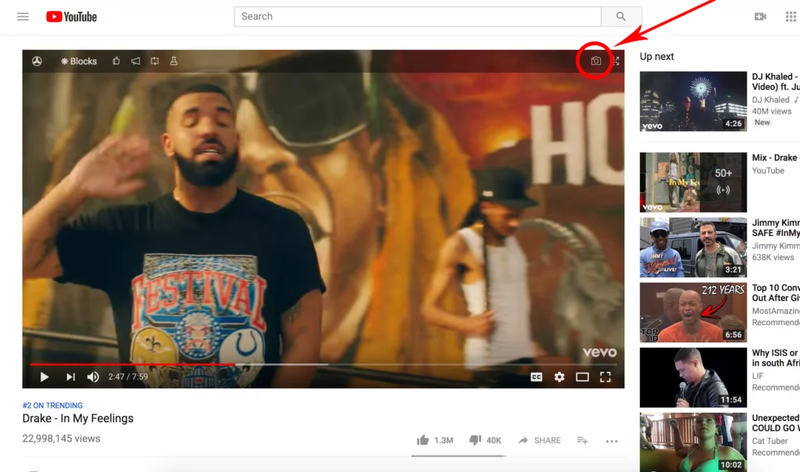 /Browser extension /How to take a screenshot on YouTube? Solution! Wonder on how to take a screenshot on YouTube? And that for free? Turn Off the Lights Browser extension is the ultimate tool to get this done. When moving your mouse over the video player, you will see a small camera icon to take a screenshot. When you click on this camera icon, you can customize the color and save the file to your local computer or mobile phone. This as the file photo quality BMP, JPG, PNG, and WebM. Install the free Turn Off the Lights browser extension. Open the right click on the gray lamp button to open the “Options” page. You see a new tab show up and click on the “Advanced Options” tab. Scroll down until you see the “Video Toolbar” topic. Enable this checkbox, and open any YouTube or HTML5 video. You will see at the top a camera icon to take a screenshot of that video.